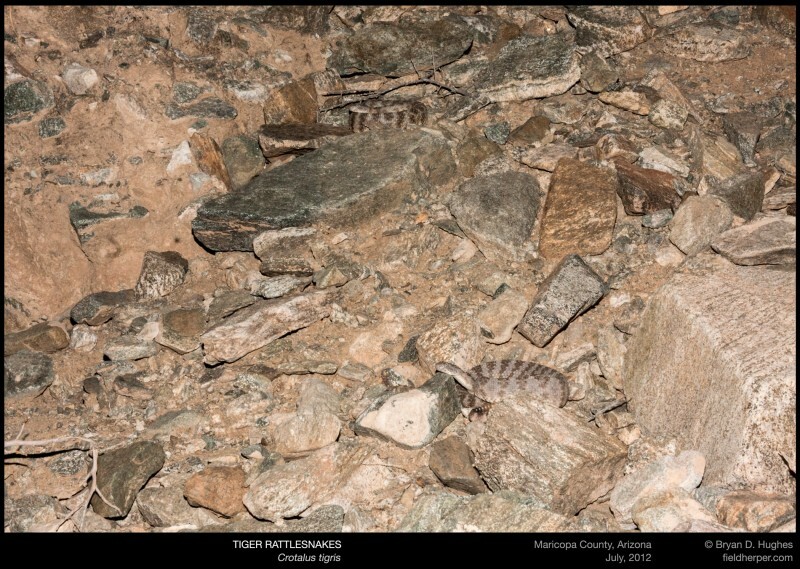 I’ve been lucky enough (or worked at it hard enough) to see quite a few tiger rattlesnakes in the last week. It’s a species I never really knew how to find with any regularity until last year, and now it seems they’re all over the place. Beautiful little snakes. This is one from a locale that is relatively new to me. Later in the night, I found two more sitting out together. This entry was posted on Friday, July 6th, 2012 at 8:24 am	and is filed under Research, Snakes. You can follow any responses to this entry through the RSS 2.0 feed. You can leave a response, or trackback from your own site. Are those mites on the close-up top picture under a few of the scales? 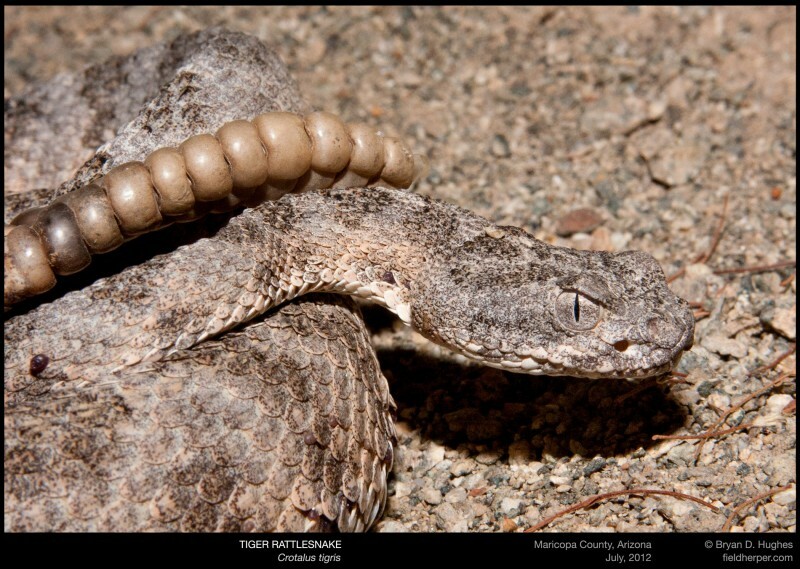 I really like the parallel angles of the rattle laying down on the neck. Great shot. Man, check out the size of that rattle! It’s larger than his (tiny) head. Gorgeous snakes all around, I love how well-camouflaged they are in that terrain. They can definitely be hard to see until you train the eyes to look for a cinnamin bun sitting out there for no reason! We went out last night and only saw two, but always happy to see even one. They’re ticks! I saw the same snake last night and it looks like the biggest one has fallen off. Despite the parasites, the snake is really healthy. I am sure I’ll see it a lot more in the future.